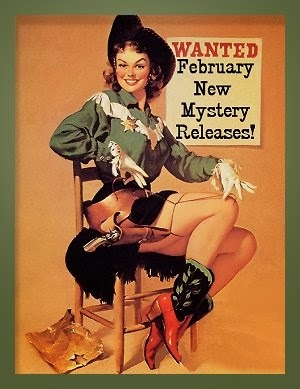 February 2014 New Mystery Releases! January tends to be a very peaceful month for me that's capped off with a week down in Bisbee. True, I have a little furniture rearranging to do, a few books to shelve, a bit of organizing to do in my craft room, and all the documents have arrived so I can get our income taxes filed, but who wants to think about all that stuff when there are new mysteries being released? We have wish lists to check, library requests to be made, pre-orders to fill! My top twelve picks for new crime fiction in February are all grouped by release dates, and I've included all the information you'll need to find these titles at all your favorite book spots. All book synopses are courtesy of Amazon because it's one of my favorite places to do a little showrooming (and keep my Kindle topped up). Happy Reading! Synopsis: "Inspiration Valley, North Carolina, is bubbling with excitement for the Taste of the Town festival, and Lila is right in the middle of it all. Along with her coworkers at the Novel Idea Literary Agency, Lila is organizing a grand celebrity chef event, featuring food television's biggest stars, complete with cooking demonstrations, cookbook giveaways, and even a culinary writing contest. But just as the celebration is about to start, the demo kitchen blows up, taking one of the star cooks with it. With all the explosive egos of the cook’s colleagues, it’s hard to find someone who didn’t have a motive to eliminate the competition. 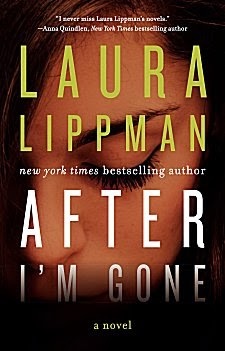 Now Lila will have to scramble to figure out which of her clients is a killer—before someone else gets burned." Synopsis: "After his hair-raising adventures in London, Sir Robert Carey has finally tracked down Queen Elizabeth, who is about to make a state visit to Oxford. 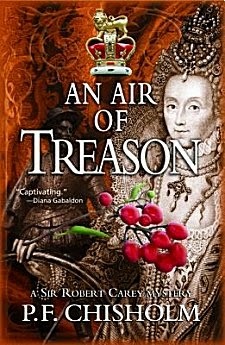 But instead of giving the Courtier his much-needed warrant and fee for being Deputy Warden of the West March with Scotland, Her Majesty orders him to investigate the most dangerous cold case of her reign—the mysterious 1560 death of Amy Dudley(née Robsart), unloved wife of Robert Dudley, Earl of Leicester. Some thirty years back, the late Dudley was Elizabeth’s favorite suitor and potential husband. Amy died at Cumnor Place, close at hand. The Queen has since been one of the most obvious suspects in arranging Amy’s murder. This makes Carey deeply uneasy with his sleuthing role. He’s further uneasy that his father, Elizabeth’s cousin from the wrong side of the blanket, is clearly involved. Then someone manages to poison Carey with belladonna, which temporarily blinds him. Worse still, Sergeant Dodd, the man most often guarding Carey’s back, has disappeared on the road from London. As the Queen’s scandalous past collides with her magnificent State entrance into Oxford, can Carey rally in time to find both Dodd and the true murderer of Amy Robsart?" 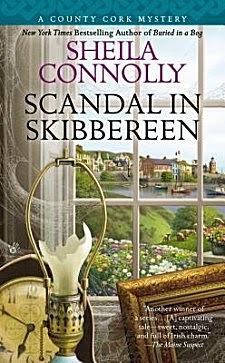 Synopsis: "Bostonian Maura is beginning to feel settled in her new Irish home, just in time for summer tourist season to bring fresh business to her pub. But the first traveler to arrive is thirsty for more than just a pint of Guinness. Althea Melville is hot on the trail of a long-lost Van Dyck painting. Maura agrees to help Althea meet with the residents at the local manor house, the most likely location of the missing art. But when the manor’s gardener is found murdered, Maura wonders what Althea’s real motives are. 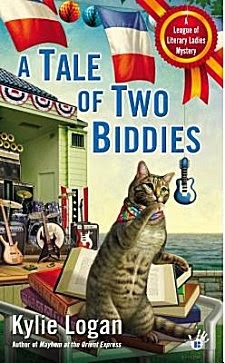 Now, to solve the secret of the lost portrait and catch a killer, Maura will have to practice her Irish gift of gab and hunt down some local history—before someone else is out of the picture…"
Synopsis: "Summer can be the best of times or the worst of times for the resort town of Put-in-Bay on Lake Erie. For Bea Cartwright, business is booming as guests storm her B and B for the Bastille Day celebration. In honor of the holiday, the League of Literary Ladies is reading the Charles Dickens’ classic, A Tale of Two Cities. It would be hard to make a more apropos selection—especially when they have their very own Defarge sisters, elderly twins Margaret and Alice, who run the local knitting shop. On Bastille Day, the head-banging rock band Guillotine shows their chops for the tourists—but the celebration is soon cut short. With something needling the Defarge dowagers and secrets that lead to murder, solving this mystery will be a far, far better thing than the Literary Ladies have done before. 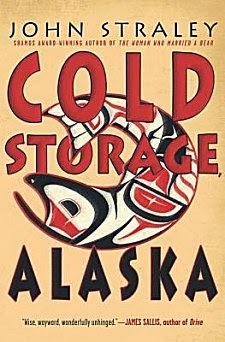 They’ll just have to make sure to keep their heads while they try to stop a killer’s reign of terror…"
Synopsis: "Cold Storage, Alaska, is a remote fishing outpost where salmonberries sparkle in the morning frost and where you just might catch a King Salmon if you’re zen enough to wait for it. Settled in 1935 by Norse fishermen who liked to skinny dip in its natural hot springs, the town enjoyed prosperity at the height of the frozen fish boom. But now the cold storage plant is all but abandoned and the town is withering. Clive “The Milkman” McCahon returns to his tiny Alaska hometown after a seven-year jail stint for dealing coke. He has a lot to make up to his younger brother, Miles, who has dutifully been taking care of their ailing mother. But Clive doesn’t realize the trouble he’s bringing home. His vengeful old business partner is hot on his heels, a stick-in-the-mud State Trooper is dying to bust Clive for narcotics, and, to complicate everything, Clive might be going insane—lately, he’s been hearing animals talking to him. Will his arrival in Cold Storage be a breath of fresh air for the sleepy, depopulated town? Or will Clive’s arrival turn the whole place upside down?" Synopsis: "A murder at the Edgar Allan Poe Museum in Richmond, Virginia, bears a close resemblance to one in Trondheim, Norway. The corpse of the museum curator in Virginia is found flayed in his office by the cleaning staff; the corpse of an archivist at the library in Norway, is found inside a locked vault used to store delicate and rare books. Richmond homicide detective Felicia Stone and Trondheim police inspector Odd Singsaker find themselves working on similar murder cases, committed the same way, but half a world away. And both murders are somehow connected to a sixteenth century palimpsest book—The Book of John—which appears to be a journal of a serial murderer back in 1529 Norway, a book bound in human skin. A runaway bestseller in Norway, Jørgen Brekke's Where Monsters Dwell has since sold to over fourteen countries. 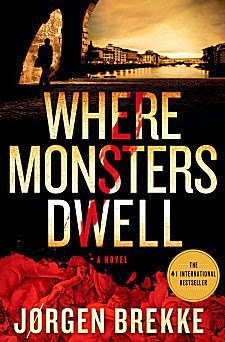 Where Monsters Dwell is the most awaited English language crime fiction debut in years." 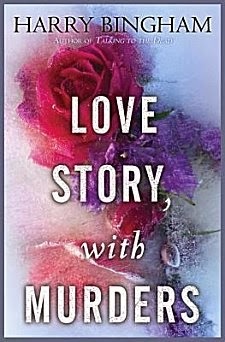 Synopsis: "When Felix Brewer meets Bernadette “Bambi” Gottschalk at a Valentine’s Dance in 1959, he charms her with wild promises, some of which he actually keeps. Thanks to his lucrative—if not all legal—businesses, she and their three little girls live in luxury. But on the Fourth of July, 1976, Bambi’s comfortable world implodes when Felix, newly convicted and facing prison, mysteriously vanishes. Synopsis: "D.C. Fiona Griffiths is facing the prospect of a dull weekend when the call comes in, something about illegal dumping in a Cardiff suburb. But when she arrives on the scene she finds, in a garage freezer, a severed human leg, complete with a pink suede high-heeled shoe. The answers may be more than Fiona can handle. Because in order to solve the riddle of these hideous murders, D.C. Fiona Griffiths will have to delve into the mysteries of her past—and hope she comes out intact . . . and alive." Synopsis: "Ann Cleeves returns to her critically acclaimed Shetland Island series with this stunning mystery featuring Inspector Jimmy Perez, who readers will remember from Raven Black, White Nights, Red Bones, and Blue Lightning. When the body of a journalist is found, Detective Inspector Willow Reeves is drafted from outside to head up the investigation. Inspector Jimmy Perez has been out of the loop, but his local knowledge is needed in this case, and he decides to help Willow. The dead journalist had left the islands years before to pursue his writing career. In his wake, he left a scandal involving a young girl. When Willow and Jimmy dig deeper, they realize that the journalist was chasing a story that many Shetlanders didn't want to come to the surface. 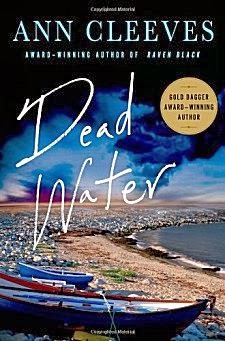 In Dead Water, a triumphant continuation to her Shetland series, Ann Cleeves cements her place as one of Britain's most successful crime writers." Synopsis: "Andy Gammon, a former Detroit social studies teacher living in (but not always fitting into) a quaint New England town with her Yankee husband and two children, can't help getting involved whenever history meets mystery. 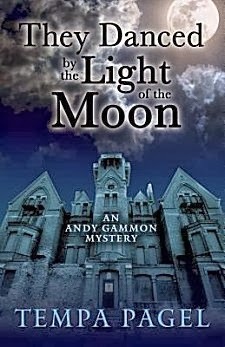 Add in a couple of prime specimens of 19th century architecture- Andy's other passion- and she can't resist sneaking through back hallways of a Victorian grand hotel and crawling through the underground tunnels of a derelict Gothic insane asylum as she seeks answers to why a woman was killed at the Grand Hotel of the Atlantic on the night of the reopening gala, why another woman disappeared from that same room a century ago, and what connection may exist between the two." 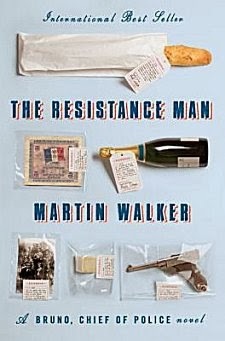 Synopsis: "A veteran of the Resistance dies, and among his possessions are documents that connect him to a notorious train robbery. A former British spymaster’s estate is burglarized, the latest in a spree of expert thefts. An academic’s home is broken into just as she is finishing a revelatory book on France’s nuclear weapons program. 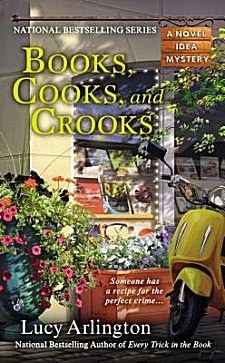 An antiques dealer is found brutally murdered, and his former lover, the number one suspect, is on the run. It’s just another summer in St. Denis for Bruno, who must balance the constant barrage of demands on his time and expertise—including the complex affections of two powerful women, town politics (the mayor is having romantic problems of his own), his irrepressible puppy, Balzac, and nights entertaining friends and visitors with ever-sumptuous repasts—with a new focus on the mounting crime wave, whose seemingly unrelated events Bruno begins to suspect are linked. His search for clues to crimes old and new leads to stunning revelations about both his country’s history and his own, and puts several more lives—including Bruno’s—in deadly danger. In a thrilling denouement that proves the past is never really past, Bruno fights to secure the future of his beloved community and those he cares about most." Synopsis: "Police detective Alex Morrow has met plenty of unsavory characters in her line of work, but arms dealer Michael Brown ranks among the most brutal and damaged of the criminals she's known. Morrow is serving as a witness in Brown's trial, where the case hinges on his fingerprints found on the guns he sells. 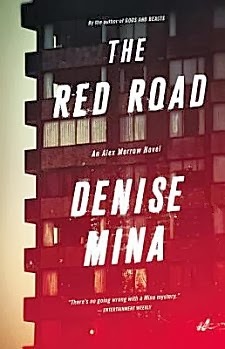 THE RED ROAD is a thrilling new novel from a masterful writer, proving once again that 'If you don't love Denise Mina, you don't love crime fiction.' (Val McDermid)"
Wow, I don't know about you, but I think February is a stellar month for prime crime fiction! With Ann Cleeves and Martin Walker being two of my favorite authors, I have to admit that I bought the UK editions of their newest books so I could get my hands on them faster. Which titles have you added to your own wish lists? Inquiring minds would love to know! I need to catch up on the Jimmy Perez books as that new one sounds great. Also like the sound of They Danced by the Light of the Moon (what a great title) and am going to go and look at the series right now. Popped back to ask if you read and liked the first book, Cathy.... Here's the Church, Here's the Steeple? No, I haven't. The second book (They Danced) really caught my eye, and now I'm in the quandry of "Do I read the first book and then move up to They Danced, or....? Cathy - Oh, I am really looking forward to the new Ann Cleeves. It'll be interesting to see what's happened to Jimmy Perez since...well, since... Anyway, I am excited about it. Lucky you! I would love to visit southwestern France!